What's the point in doing a review on an old camera? I'll tell you. Nobody is paying me or even giving me some kinda freebies. 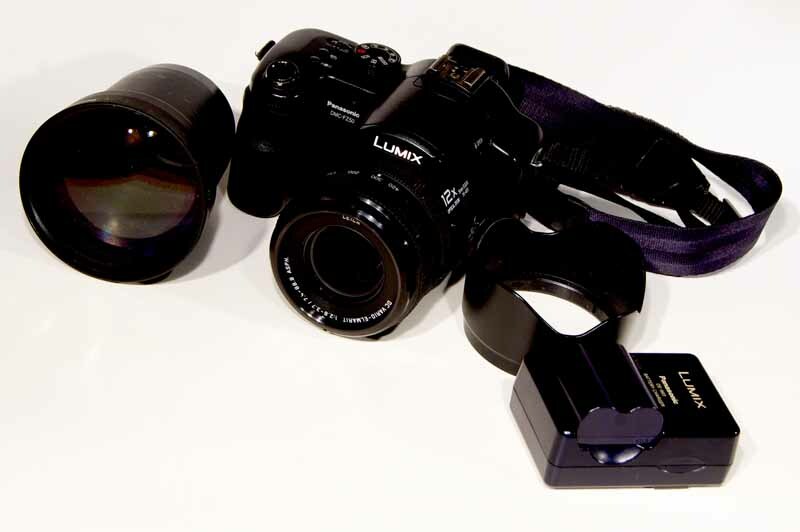 This is my old camera, first digital camera outside of a cell phone, I ever bought. It's been used, abused, misused, dropped, rained on, tripped over, loaned out, lost and forgotten and even, once or twice, had a thorough cleaning. The poor son of a gun has over 250,000 shutter snaps on it and just keeps on ticking. This is not a point and Shoot Camera. It's not a DSLR, either. It's what you'd call a Bridge Camera; something to fill the gap between the two. I bring this up because many people ask me what cameras I recommend. When I bought the DMC-FZ50, I had no idea what I wanted to accomplish with my photography. This was the perfect camera for me. It has excellent glass (Lecia lens) 7mm-85mm zoom. Aperture from 2.8 to 11 and all the Mode settings for lazy people, plus, you can shoot fully manual once you decide that's what you want to do. In the photo above, you'll see, I added a 1.7X Teleconverter. That was only after I decided I wanted to reach out further and grab some wildlife shots. 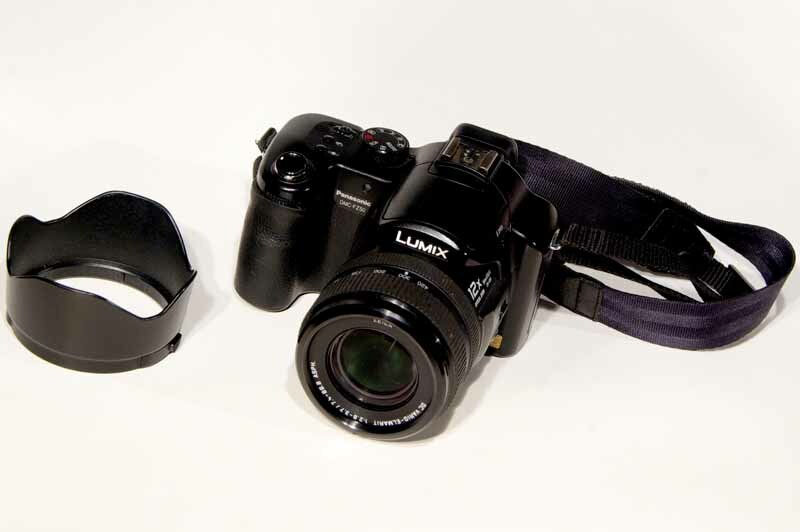 This good old camera won't fit in your pocket but, it is light enough to wear around your neck. When I wear a jacket, I tuck it inside to keep it from swinging around and sometimes, get into places where cameras are not allowed. Hah ! Most times, I don't wear jackets and usually don't take my cameras places where they are forbidden. 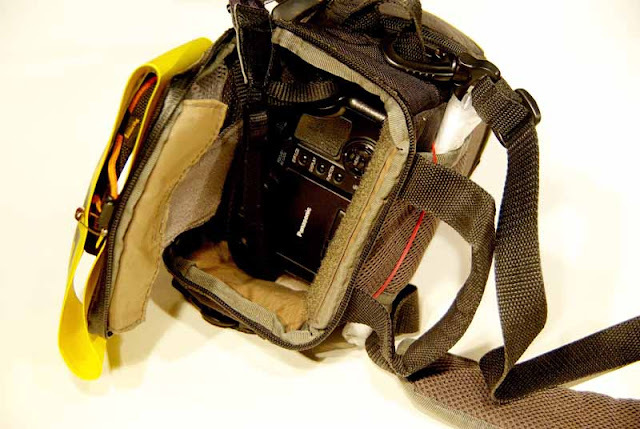 The ideal way to carry a camera like the DMC-FZ50 is in a holster. A strap over your shoulder and a belt through slot provided on the back of the holster will keep everything secure even if you go mountain climbing. If you want to read full reviews on this old baby, type DMC-FZ50 in any search engine and you'll find plenty. The feature that I found most useful on this camera is the LCD screen. You can rotate that puppy and make shots with it around corners, over the heads of crowds or get close to the ground and shoot scenes above that would be impossible, peeking through the viewfinder with my DSLR. The DMC-FZ50 gets a five star rating from me. Panasonic will have to wait before I'll buy, whatever the latest, greatest model happens to be, because I believe my good old camera is going to be around for a long, long time. I bought it as i got disappointed (if not angry) with the few options and the limits of a way older Kodac point and shoot but would not put such an effort in photography to need (or justify) a reflex or a dslr. Yes, I've heard good things about the DMC-FZ18, as well. Happy shooting!